Life What we learn from Hermione Granger in Harry Potter?? 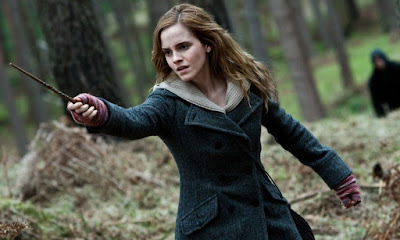 Hermione Granger is character of J.K.Rowling famous novel Harry Potter. She is my favorite character in this series. As per book, she is born in Muggle family. Her parents both are dentists. She is one of the Trio, and thus involved in nearly all the action. She is the brightest and a very strong female character in Harry Potter series. 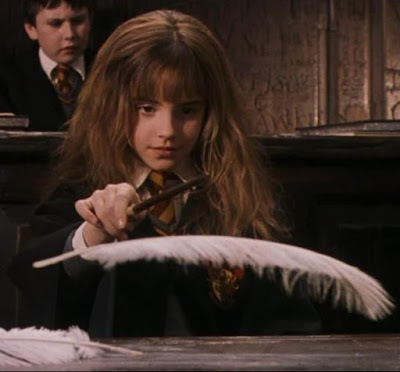 Hermione Granger is one of the best character which shows the power of feminine. In Hogwart school when she is witnessed something, which is against her beliefs, she did not stand back and watch. She would step forward and take a stance for all that which she believes. She never be afraid to use her voice for the greater goods. Even if it means you will be standing alone. Hermione is extremely ambitious and has a genuine, passionate interest in learning. While getting high marks is definitely important to her, what really gives her that extra drive is intense curiosity and sincere desire to fully understand and expand her knowledge about whatever she happens to be studying. She like memorizing textbooks before the semester even begins. She is such a cleaver and brightest student. She always read and memorized her schoolbooks, Hermione is eager to prove herself by constantly raising her hand in class and demonstrating the proper use of spells and magic. Hermione continues her dedication to her education and spends long hours perfecting her essays and making sure that she studies enough for each exam. Hermione’s studious attitude is also the reason why she and her friends were successful in defeating the dark wizard, Lord Voldemort. On numerous occasions, her obsessive studying helped save her friends’ lives. She taught us Education is Greatest Weapon of anyone’s Life. Despite a girl, she is extremely courageous. With her courage and intellect the trio came out safely from most of the troubles. She is courageous enough to stand up to her friends when they are doing something that may very well hurt them. Even if it means they will be mad on her for a period of time, or may never speak to her again. She shows a lot of courage in the series although it is, going behind Umbridge's back and helping to create Dumbledore's Army, Sticking up for her friends and what she believes in, going on the Horcrux hunt, When she's being tortured by Bellatrix and comes up with the story about the sword and many more. She deciding to stick with Harry through the whole series when she could have easily backed out. Her wisdom is matched by her courage. When she, Harry and Ron are trapped beneath gringotts with half-blind, imprisoned dragon, Ron asks her if she has a plan. She replied, I have got something, but it’s mad. She leaps onto the dragon’s back, spells away his chains and turns to the wide-eyed boys whom she is still able to surprise after seven years of such unhesitant derring-do. And she said “Well, come on then.” It shows quickness and courage within her. Hermione is always there for her friends. Although she is dealing with her own problems and all Harry’s problem, she still get the time to help anyone that is in need. 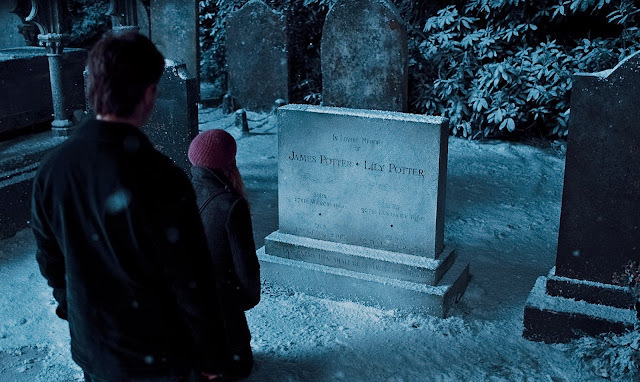 She always give emotionally support to her friends, she understands that Harry needed to see his parent’s graves, and even works up a beautiful wreath for their graves. Hermione also becomes a long running confidant of Ginny’s, knowing all about her boyfriends and her interest in Harry. In her third year, she have a maximum amount of school schedule then also she help Hagrid research Hippogriff trials in attempts to save Buckbeak. She is a deeply kind person. She feels compassion for all creatures, also for that unhappy dragon and the house-elves whom everyone else in the wizarding world treats like slaves. She cared her loved ones. She acted tough when people she loved were doing wrong or were taking a big risk. She taught us to be kind with your friends and everyone, give them emotionally support. Cheer-up them and be with them by all troubles. Also if we are fighting the good fight and shows compassion to everyone, you will never be alone. As she is being Miss-know-it-all, then also she did ask help from her friends, Ron and Harry and as well as others. 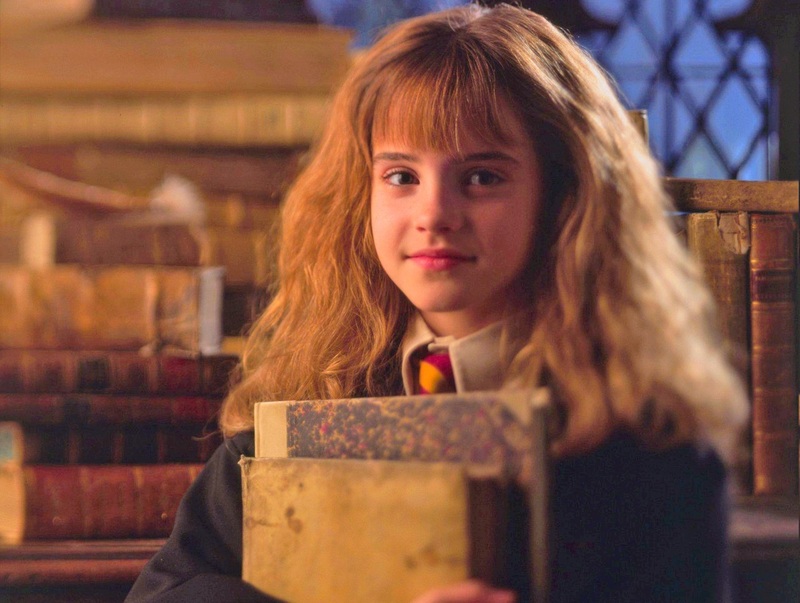 Hermione is the true example that the more you know, the humble you become. She is an incredible human being. A very loyal and honest individual. She is compassionate and wise and humble person. In Deathly Hallows when she figures out that the sword of Gryffindor can destroy horcrux, only one of a thousand examples of Hermione summoning the solution to a seemingly impossible problem. When Harry told her she is brilliant. 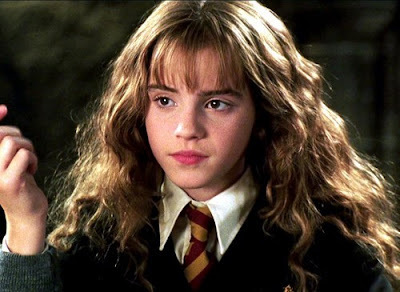 She said, “Actually I’m highly logical which allows me to look past extraneous detail and perceive clearly that which others overlook.” It’s a classic Hermione response, humble and superior at once, analytical and mildly patronizing. It also why she is such a marvelous force in the war against Voldemort. She always kept her friendship and bond with Ron and Harry above all things. She was not afraid of even dying and took every time risk for them. Hermione has shown loyalty to all of her friends throughout the series, especially Harry and Ron. However the biggest moment of true loyalty has to be the moment she decided to stay with Harry during the search for Horcruxes in the Deathly Hallows. In Deathly Hallows, the trio was constantly cold, hungry, lonely, and with the locket horcrux around their necks, angry and full of self-doubt. When Ron, who was affected the most by the horcrux, became overcome with the exhaustion of the constant search and decided to leave, Hermione could have easily left as well. However, she stayed with Harry and continued the search even though it would have been much easier to leave. Continuing on without Ron was very hard for her, by this point in time it is quite obvious that they care for each other very deeply. Hermione even cried herself to sleep a lot of nights and the sadness seemed overwhelming. However, she did not let this get in the way of their quest; she continued on with great strength. Hermione is a consistent proponent of logic. In sorcerer’s stone, she solves a trick puzzle, helping Harry eventually retrieve the stone from Quirrell. Hermione attended slug club meetings with Professor Horace Slughorn, and made connections with a lot of other professors, too. Though Hermione starts the series as a rule-follower, by the end she’s a total rebel. She recognizes that sometimes it pays to be creative when solving problems, such as when she stirs up a polyjuice potion to spy on Draco Malfoy. She taught us, sometimes it can take an extra dose of resourcefulness to complete the work, and also we have to make a new connection at work. She proves that intelligence with creativity results to be success. 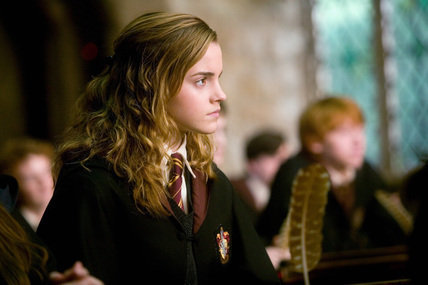 Hermione is so focus on her studies. In Goblet Fire, everyone is cheering and making lots of applaud for Fred and George caper, she is busy with her studies. She uses The Tales of Beedle the Bard to learn about the deathly hallows, which ultimately contribute to Voldemort’s defeat. Hermione does not discount the importance of stories, even ones for children. After all, she loves books. She always try to focus on the things which she wants to do. In Prisoner of Azkaban, she decided to drop the classes that are not a good fit for her, and she learns to manage her time wisely. She taught us that we will have to learn to be focus on our priority and our work, we have to learn to manage our time to cope with all work done wisely. She is the best example of feminine. As mention in book, Hermione wanted her best friends to ask her to the yule balls. But her friend Ron takes her for granted at the Yule Ball, Hermione leaves him reconsidering his actions as she dances with the respectful Viktor, who appreciates her intellect. Instead of whining, Hermione got herself a date and she looked so beautiful. Always remember Beauty comes within. She is cleaver and brightest witch, but she always remember to enjoy present moment, attend parties and going out to the Hogsmeade. She teaches us always, always treat yourself with Respect. Hermione doesn’t take any crap from anyone. She silences reporter Rita Skeeter, rebels against Umbridge, and even shuts down Draco Malfoy. She demands respect even from her friends. And in addition to demanding respect, she gives it back. Hermione tries to treat everyone equally. One of the best thing which we all have to learn from Hermione is working hard. Although she is coming from non-magical background, she work hard to learn the things, she spend an hours in a library to learning, reading and researching. In Half-Blood Prince, Harry uses the half-blood prince’s potions textbook to become a prodigy in class. 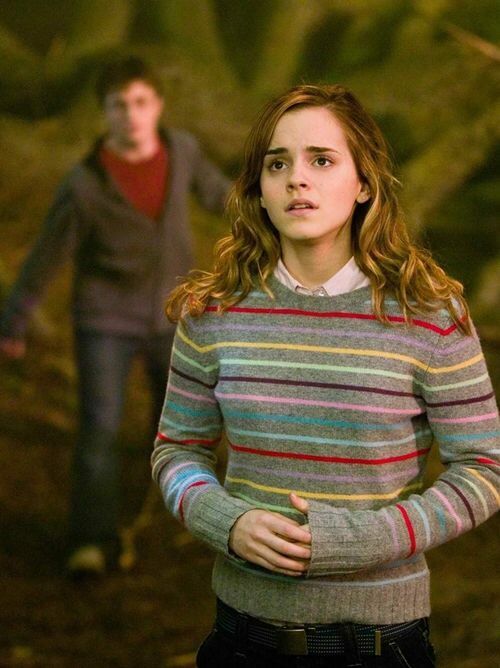 However, Hermione refuses to take the shortcut, and plods through the work on her own. Though it seems that Harry gains success faster than she does, Hermione knows that shortcuts don’t beat hard work. She learns more from going through the exercise without help. It can be tempting to take the easiest route, but sometimes you can gain a lot more from blazing down a harder path. Trust and respect are the most important thing in any friendship. 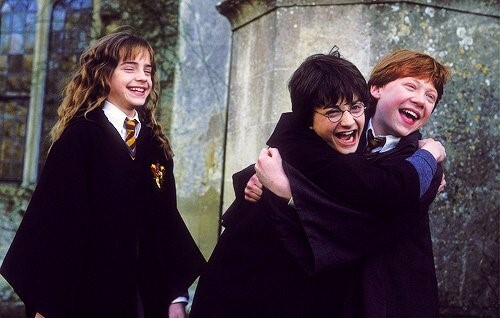 Hermione, Ron and Harry have best Trio of friendship. Don’t be afraid to tell your friends when they have done something wrong. Hermione makes herself available as an emotional outlet for Ron and Harry, not allowing them to bottle up their feelings. She pushes each of them to express themselves and encourages them not to give up. Whether in a Quidditch try-out or an epic quest for Horcruxes. In the books, before harry goes on to face Voldemort by himself for the very first time in the sorcerer’s stone Hermione tells him he’s going to be okay, you are a great wizard. You really are. She cherish her friends always. She said, friendship and bravery are more important than books and cleverness. But as she stands on the bridge after the battle of Hogwarts, surveying the terrible damage done in a battle between light and dark, holding hands with both her best friends, we have grown to know her as not only clever, not only brilliant, but the truest, bravest friend. Hermione Granger is too smart and strong she always face her fears. She knew the only way to defeat fear is to face it. In second year, as she said to Mr. Lucius Malfoy “Fear of name only increases fear of the thing itself.” Anyone in trio throughout the series would be right to be absolutely terrified. However, instead of pretending not to be afraid, Hermione recognizes it and does what she can to get over and face her fears. Her bravery is often unnoticed because of the focus on her brains, but she never backs away from something because of her fear. Throughout the series, she displays her bravery. In Deathly Hallows, Hermione hops on to the back of dragon, she had no choice, as it was either get on the dragon or die. We want to learn from her that we do not have to run away from a fear, we have to face our fear courageously and wants to overcome from it. Hermione granger always stayed true to herself, despite being a muggle-born and surrounded by wizards and witches. She never wanted to change herself for once and turned the one thing that made her different from the rest to which made her special. As Professor Lupin and Sirious Black said: she is the brightest witch of her age. She never let her true identity lies with others. She believed and did not change herself for any-one, despite all the bullies she got. You are who you are and that is something to hold close to your heart. From being smart, talented and courageous, to being the only one with the answers to teachers’ questions. Just because you don’t fit societal norms or ideas of what is normal should not stop you from being exceptional. Hermione never tries to conform in order to fit in. Throughout the series, she is true to herself. She loves books, she constantly logical, and she is totally proud of it. Bullies are bad, but you have to fight back to it. As Hermione done, punch to the Draco Malfoy who always tease her by said mudblood. 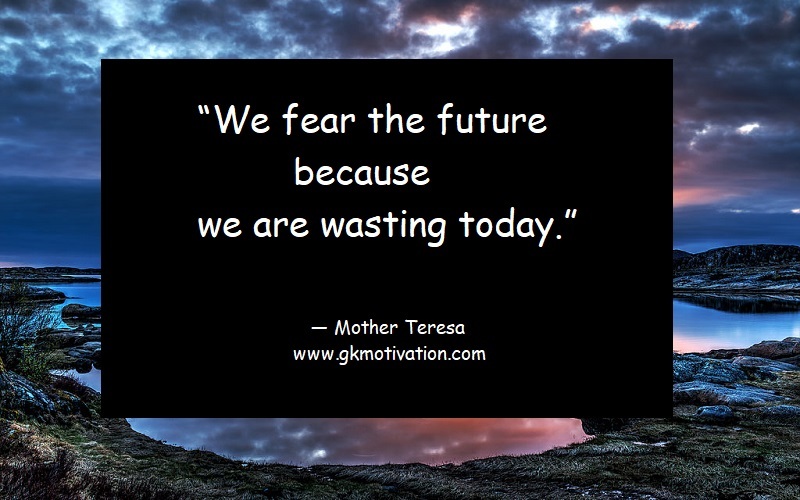 Bullies are feeding on your fear. So remember to pull out a good punch to the bullies and stand up for yourself. She teach us don’t be afraid of bullies. And have courage to kick out them. In our workplace, in our homes, or in public places, we often come across bullies. It is important to stand up to them, especially as a woman. Fear, hesitation and silence only encourage bullies to crush you more. 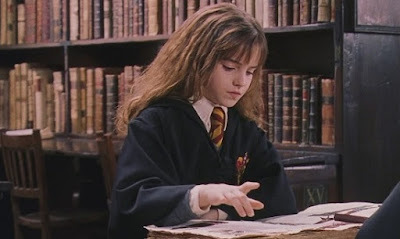 Hermione Granger always remain in a library, reading books and learning something new. Even before entering Hogwarts, she read history of Hogwarts, she had the knowledge of most of the books. Her knowledge and lust of learning more make everyone fall for her. Hermione solved most of their problems, be it finding a giant monstrous snake hiding in the castle to the existence of the deathly hollows, all from reading books. She proved that reading and research can save your life. In chamber of Secrets, she learned everything there was to know about basilisks, and her findings saved her own life in addition to many others. Seek what matters to you and pursue it with passion. Hermione’s passion and thirst for knowledge have held her in good stead. Driven by an appetite for seeking knowledge, she used the time turner so that she could attend all her classes. All that she learnt she used not only to her advantage but also to help her friends. Her academic progress truly shows why she is the smartest witch of her age. 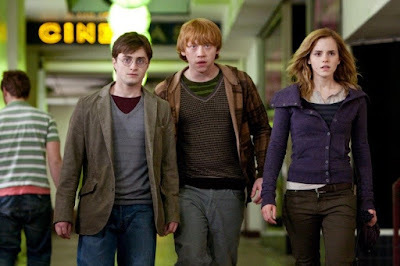 There were situations where she has to keep up with Ron and Harry and she very well-kept it up. Be it riding over dragon or anything else, she proved herself. In Deathly Hallows after being kidnapped by Snatchers, Bellatrix Lestrange repeatedly used the Cruciatus Curse on Hermione to torture her into admitting they stole the Sword of Gryffindor. Hermione's screams of pain could be heard all the way in the dungeon by Ron and Harry. The Unforgivable Curse is known to cause so much pain. After being tortured, Hermione helps devise a plan where she has to transform into the woman who tortured her and break into her Gringotts Bank vault to steal a horcrux. The idea of impersonating someone who tortured her must have been extremely uncomfortable and hard to handle. However, Hermione does not let that stop her, and she understands that it must be done in order to complete the plan and obtain the horcrux. 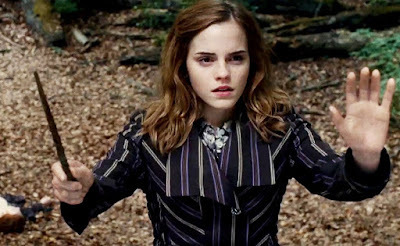 Hermione’s this enormous act of strength shows she is such a strong person. She is too logical and smart. She always use her knowledge which help her and her friends to tackle all the situation and overcome from the troubles. Coming from the non-magical world, Hermione was appalled to see the treatment meted out to elves and stood up for their rights. It takes a heart to feel for others, and a huge dollop of feeling and courage to fight for a cause to create an impact. She believe in herself, she believes in her knowledge. 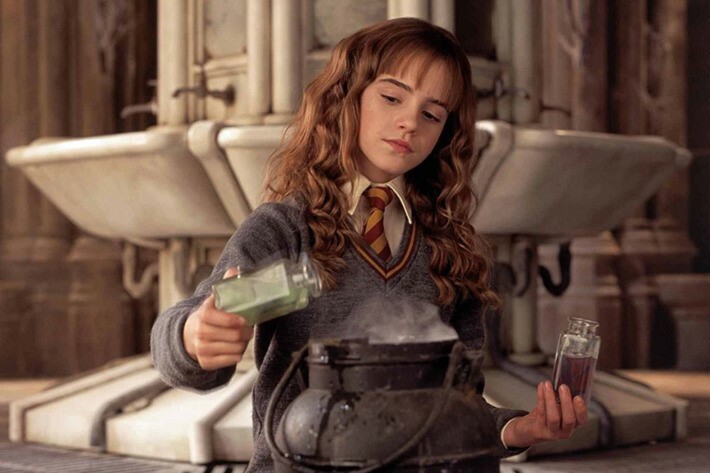 And she use her knowledge to help her friends, either it is making a Polyjuice Potion and sleeping potion filled in cake to find out the secret of chamber and who is behind this incidents. In order of the Phoenix, Hermione guesses that Voldemort is trying to lure Harry into a trap by preying in his need to – play the hero. Sometimes, when an answer is not readily available, the best thing to do is to trust your instincts, and believe it. Sometimes you have just got to go with your gut when deciding your path. She makes us believe that we are our own Heroes. She encourages us to never give up. She chooses to embrace the title of Mudblood knowing that someone else’s derogatory term doesn’t diminish her own brilliance. She knows exactly how smart she is, and from the start, she refuses to pretend to be anything less. She doesn’t need to sacrifice parts of herself to make the boys around her feel better, and therefore her talents become an essential part of what makes up their team. When people disappointed her, whether it was Harry in Prisoner of Azkaban or Ron in Deathly Hallows, she just chose to pick herself up and look at the big picture to focus on the things she could save. Despite a lots of troubles and heart breaks, she never forget to have a fun. The trio share everything with each other whatever they have. Harry and Ron know how intelligent Hermione is, and they’re always calling on her wealth of knowledge in their time of need. Their individual strengths make up the perfect trio. She always support her friend interests, she always at Quidditch matches, cheering Harry on. And when Ron makes the team, too she is right there to support him. Hermione always stick with her friends. Although there is lots of adventure on their life, but she still enjoy a life, and having a fun. She had fun in yule balls, attend party by professor, looking again beautiful in bell wedding, having fun in Hogsmeade. She teaches us we have to enjoy our present moment of life and have to fun.